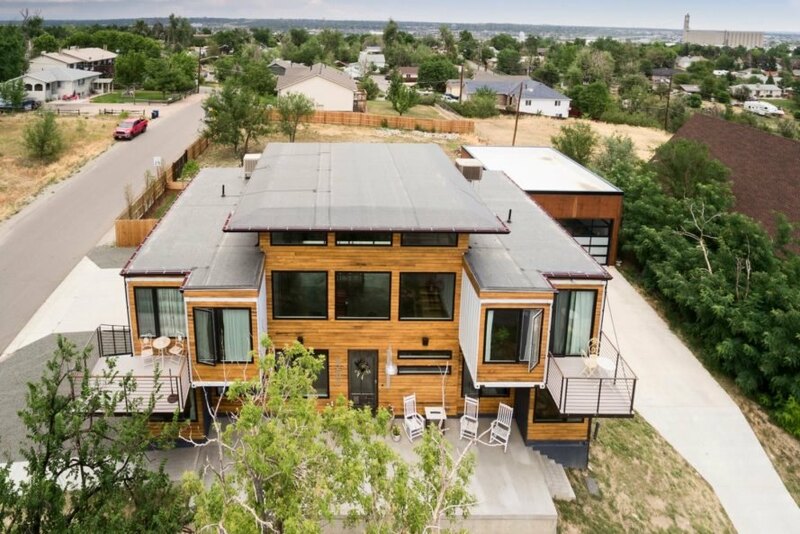 Denver-based firefighter Regan Foster used to spend his days putting out fires, but while recovering from a work-related injury, Foster decided to try his hand at building his dream home. The results are breathtaking. 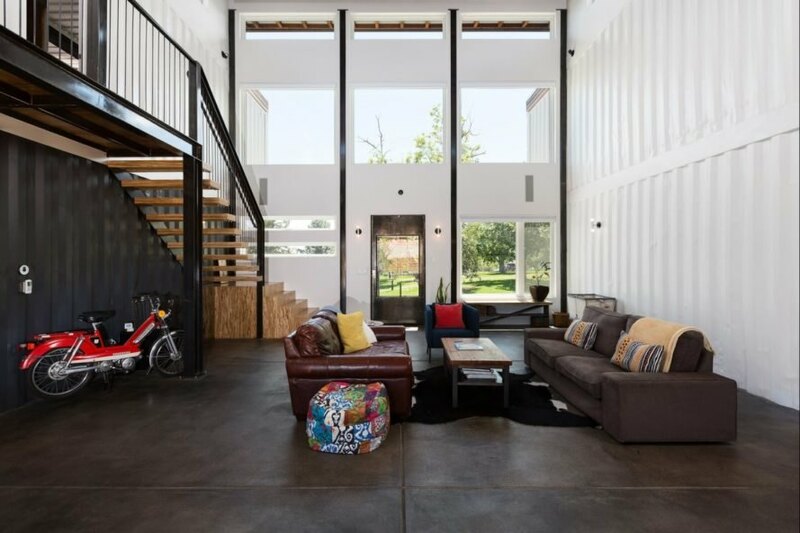 Using his own designs, Foster converted nine repurposed shipping containers into a massive 3,840-square-foot home with sophistication that rivals that of any professional architect’s work. Working with architect Joe Simmons of BlueSky Studio, Foster created the design and worked as the principal contractor on the project. 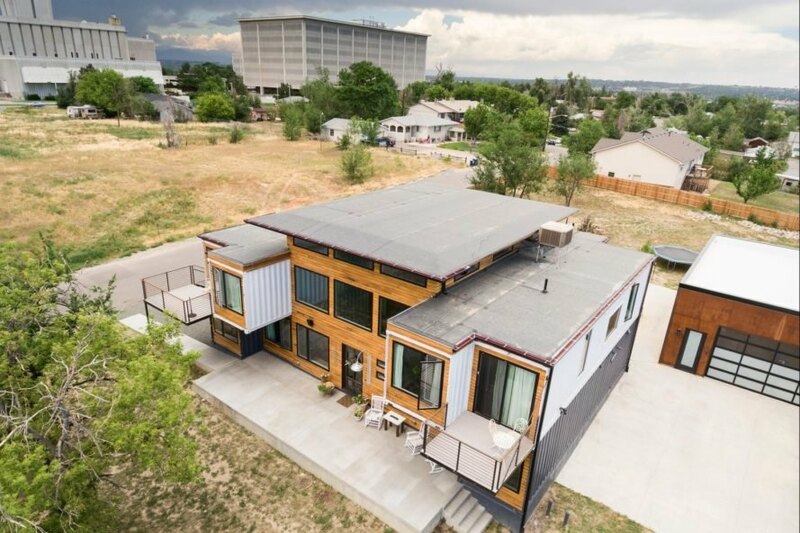 To build out the frame of the home, four shipping containers were placed on the ground in pairs set 24 feet apart. Another four containers were then stacked on top of the first level, with a few pushed forward so that they cantilever over the ground floor. The ninth container was placed perpendicular to the back of the second level. 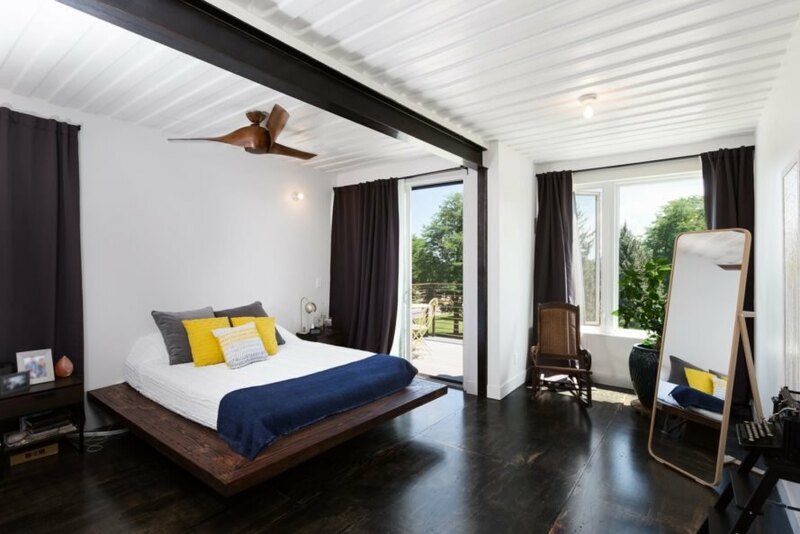 The team topped the sections of the home with a series of flat roofs, and they covered the front facade in wood panels, contrasting nicely with the corrugated metal. 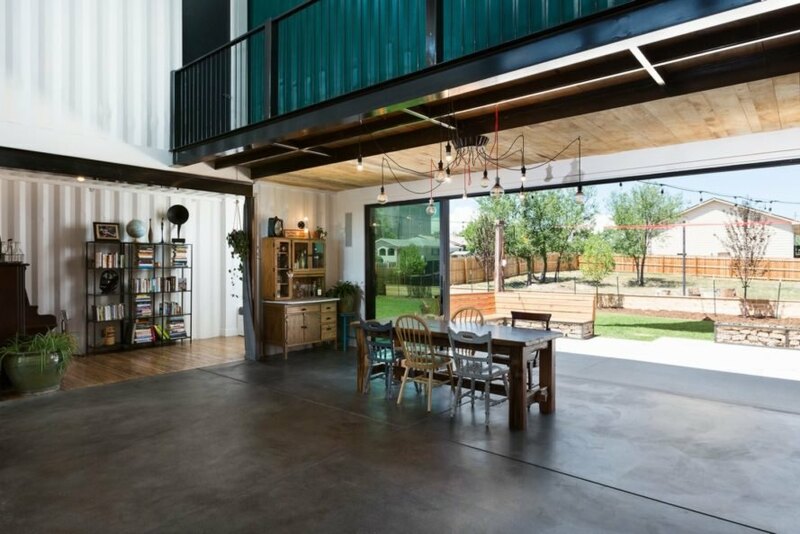 An abundance of large windows were cut out of the containers in order to provide the interior with natural light. Although the exterior of the home is outstanding, the interior of the seven-bedroom, five-bathroom home is just as impressive. Walking into the great room, visitors are greeted with soaring 25-foot ceilings and an open floor plan that leads out to a large patio. 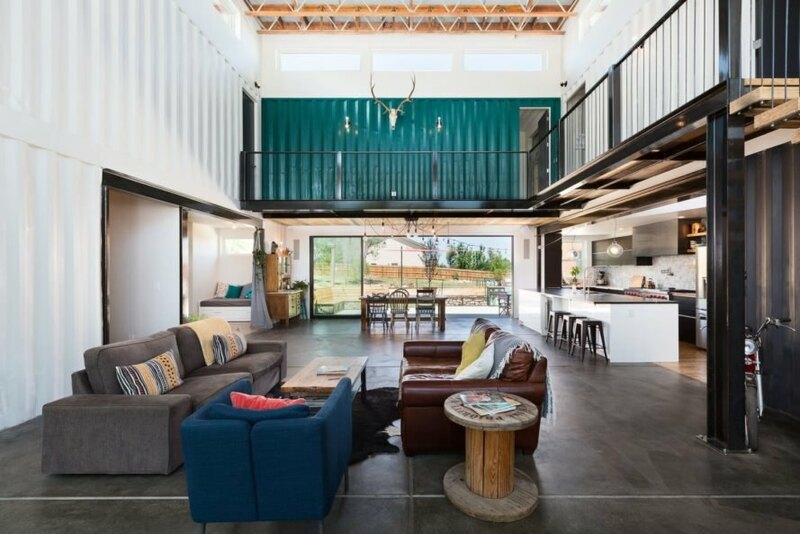 As part of the master plan, Foster was determined to maintain the inherent industrial aesthetic of the shipping containers. The inside of the exterior walls were insulated and covered in drywall, but the interior walls and ceilings throughout the living space were left intact so that the corrugated metal would be visible. Foster, who has a passion for furniture making, used reclaimed wood in many of the home’s custom furnishings and design elements. For example, the flooring throughout the home is made with reclaimed barn wood and boards from a felled tree. Foster even refashioned an old walnut slab into a sliding door and used some waste lumber to create a cantilevered walkway that runs the length the second floor. Needless to say, the process of building his own home sparked a new professional path for Foster and his family. After completing the project, Foster retired from the fire department and started his own design and construction company, Foster Design. The family also rents out their home on Airbnb. 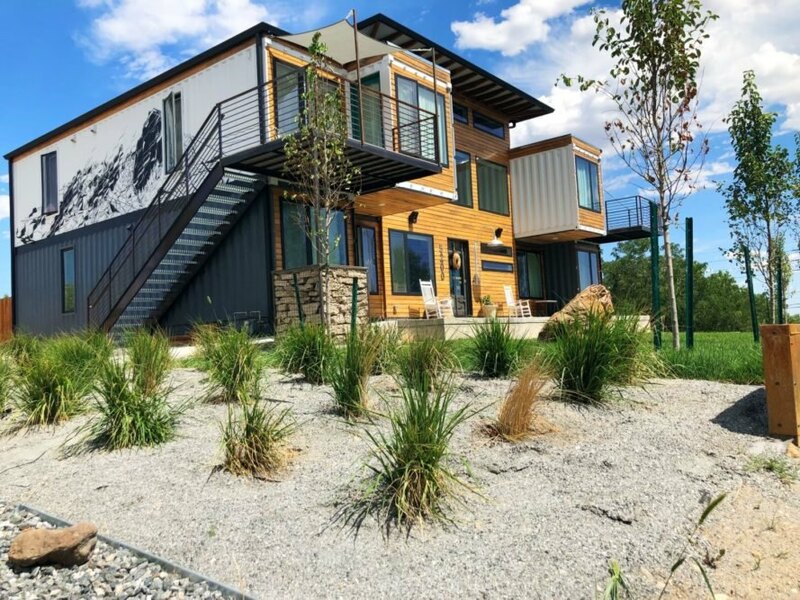 Denver-based firefighter Regan Foster converted nine shipping containers into a spacious 3,840-square-foot home. 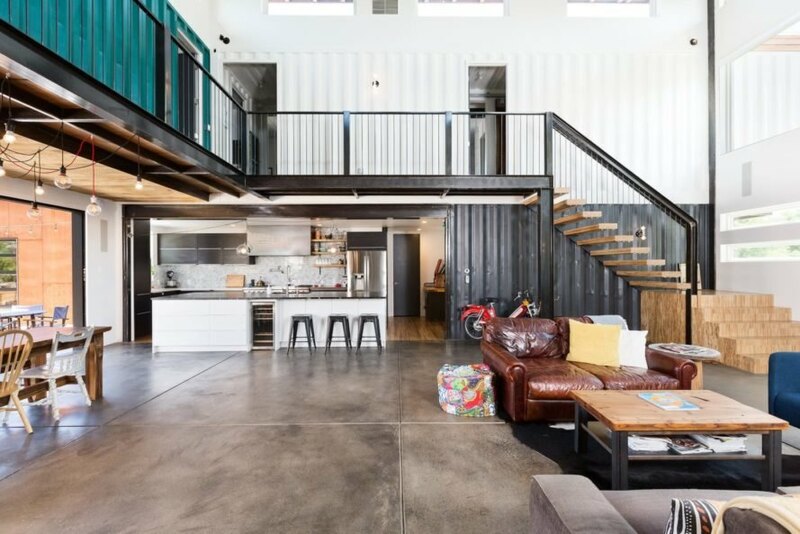 Nine repurposed shipping containers were insulated and stacked to build the home. The home's front facade was covered in wood paneling. Foster used reclaimed wood throughout the interior. Foster made many of the furnishings himself. The interior features soaring 25-foot-tall ceilings. A large walkway leads up to the second floor. A sliding door opens up the interior space to the exterior. 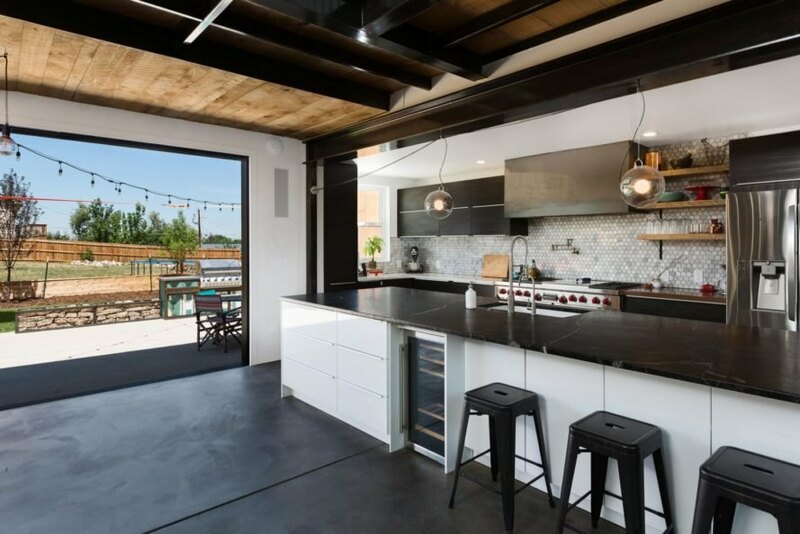 The huge kitchen is ideal for cooking and entertaining. This rustic sliding door is crafted from an old walnut slab. Sections of the corrugated metal were left exposed for an industrial touch. The spa-like bathroom is illuminated with natural light. 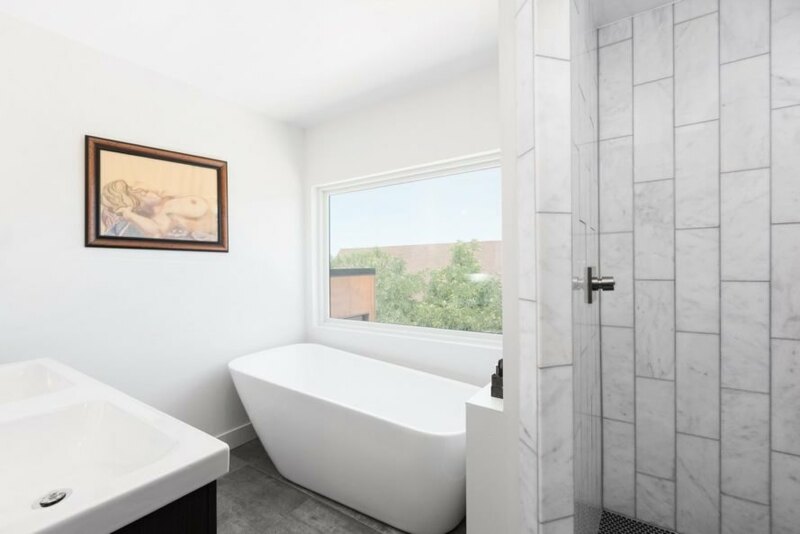 The master bathroom was left all-white to create a soothing atmosphere. The backyard includes concrete benches made by Foster. The big backyard also makes it easy for the family to host guests. On occasion, the family rents out their unique home on Airbnb. Regan Foster has since retired as a firefighter to pursue a career in design. Check out the Airbnb listing.